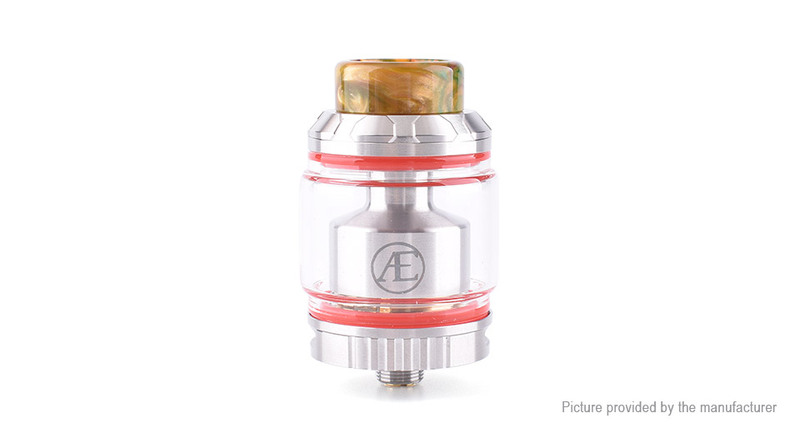 The Authentic ShenRay Art Elite RTA is a 25.5mm diameter rebuildable tank atomizer, made from 316 stainless steel. It features 3.5ml and 2.5ml capacity with spare tank and is easy to refill the e-juice with top filling system. Designed as the postless deck, it is convenient for single coil building. The coil is between two airflow posts, and the air will hit the coil from the bottom, which will bring you excellent vaping experience. You can adjust the airflow by rotating the AFC ring. It comes with gold-plated deck and brass pin for great electronical conductivity.